Internationally acclaimed virtuoso nylon string player, Dimmitrios Giannakis, returning from performing at the prestigious San Remo Guitar Festival in Italy, brings to the stage his life long passion for nylon string master pieces across many genres. 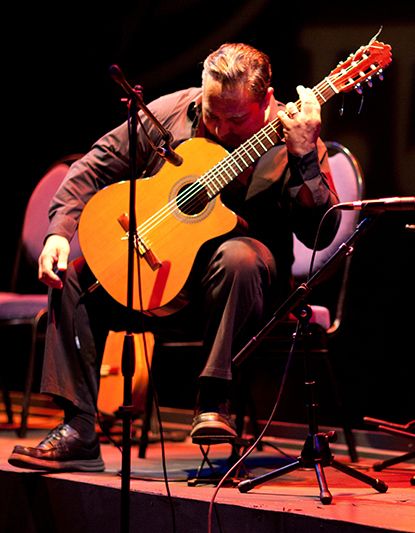 Giannakis will be teaming up with well know Jazz guitarist, Lylle Ferreira for one night only! Be mesmerized by mind blowing mastery, as well as soul food musicality, as these two master musicians take you on a trip through space and time. This is Giannakis’ last performance in Cape Town before he leaves to perform in Germany, Austria and Italy.